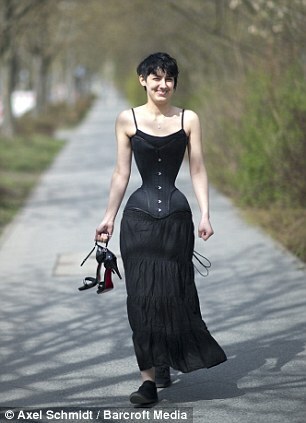 Welcome To Brown Empressblog: Woman with 16inches waist. healthy limit set by experts. possible to move in general,' he warns. every day for three years - even while sleeping. changed, just slowed down a little,' she reveals. 'Now my movement is more feminine. equivalent to a dress size 14.